The FX19 is our top seller as both a flats boat and technical poling skiff. Built to last using hand-laid, biaxial glass, our advanced stringer system ensures every FX19 is not only stable and durable but ready to fish. Unlike many other flats boats, the Vapor includes three insulated 70 qt. wells, 2 aft and 1 forward which can be configured for bait, as a release well, or for storage. Regardless if you fishing for pleasure or gold, the FX19 Vapor can be built to your taste with our Pro Flats or Tournament packages. 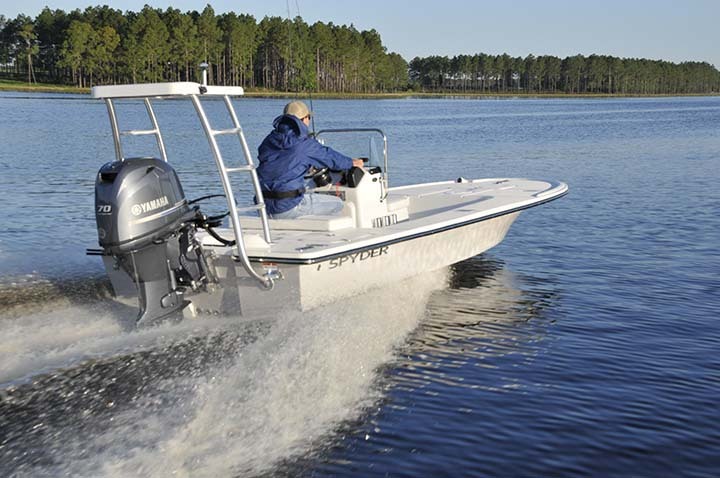 The Spyder FX17 Flicker measuring 17’1 is our smaller technical skiff. Built from hand laid, biaxial glass, and high density foam, the Flicker is stable and built to last. Offered with multiple packages to suit your needs, the FX17 has a large, roomy forward deck, tons of storage storage throughout. Regardless if you are poling skinny waters from the platform or simply seeking a casting skiff, the FX17 delivers big on features and value. The MAKO® 21 LTS is an aggressive inshore predator that’s ready for any challenge. 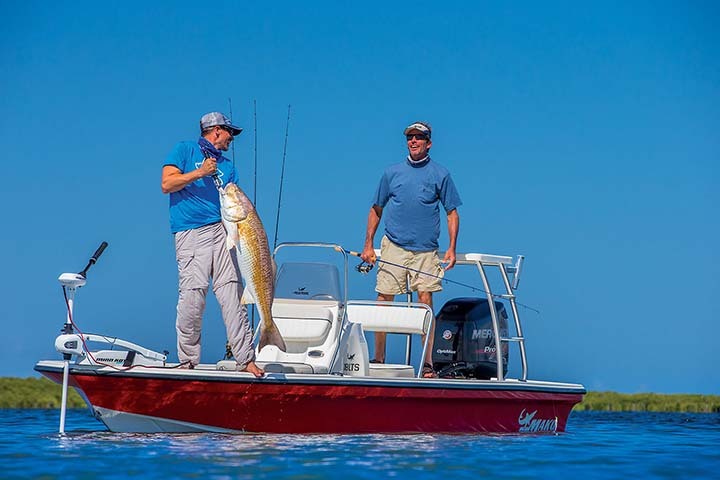 Built to specs supplied by top redfish tournament pros, the 21 LTS sports our patented Rapid Planing System™ transom and MAKO performance fiberglass hull. The combination gets you on plane fast, increases engine efficiency and pumps up top-end speed by feeding water directly into the prop. The hull/deck joint is chemically bonded 360° and mechanically fastened every 6″ with stainless steel fasteners for a lifetime of durability. 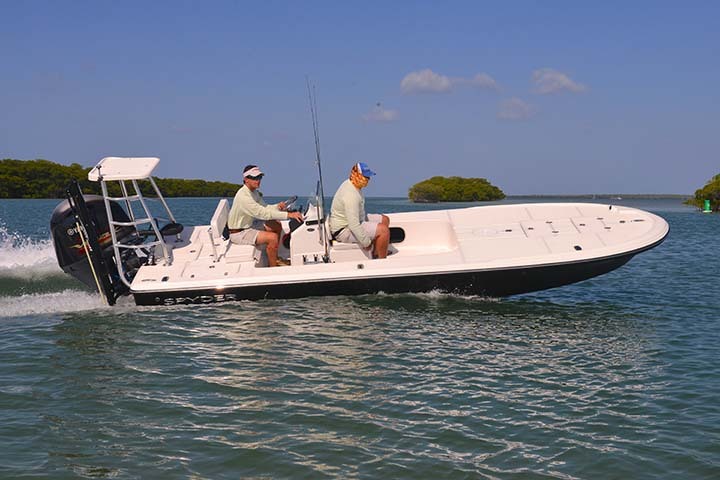 And the 21 LTS comes with a MAKO tandem-axle aluminum trailer and a Mercury® 150HP XL OptiMax® Pro XS outboard—you can optionally power up to a 225HP if you feel the need for more speed. 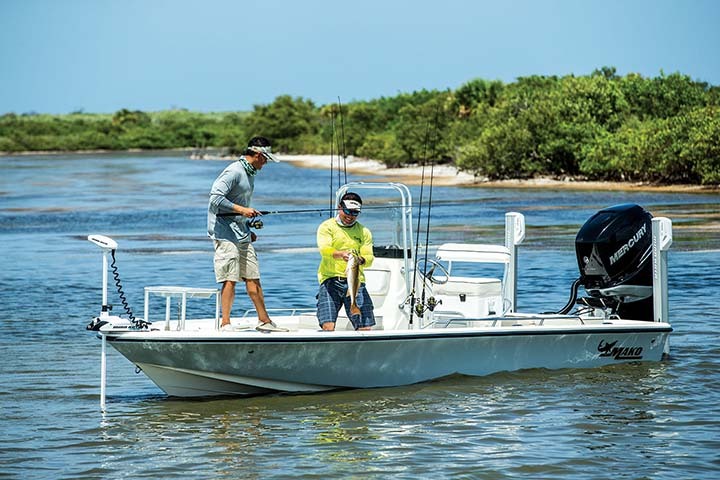 Whether you’re searching the flats for bonefish or crossing the bay for redfish, the MAKO® 18 LTS has got the fierce inshore attitude to get you there. The aggressive Deep V fiberglass hull and wide beam combine to give you a dry ride in choppy seas and rock-solid stability at rest. It’s backed by the MAKO Assurance warranty—a best-in-class warranty that guarantees the quality of your boat for life. Complete with a custom-matched aluminum trailer and a standard Mercury® 115HP ELPT FourStroke outboard, you’ll be ready to raid the coast right from the dealer.